There’s nothing better than the sweet with the heat! This blend gives you raw sugar and orange peel sweetness with chili pepper heat. Full of flavor, loved by those who can take a little heat and also by those who like it hot. Use on just about anything that you want to add a little heat to. It’s great on salmon, poultry, pasta salads and pork. We love this on beer can chicken! Treat your wood products with this hand mixed wood conditioning paste! 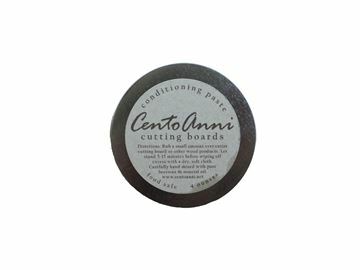 It's recommended to be used once a month with wood cutting boards, bowls or other serving pieces. Rub a small amount on and let it stand for 5-15 minutes, then wipe off excess paste with a clean cloth.